Lately I’ve been going downtown for stair climbing practice a lot. I’ve been doing it for about two years now, and I’ve found that the train is a very easy and convenient way to get there. They sell a Metro Day Pass ticket at the vending machines for $5, and that’s just the thing if you’re going to be taking four trains or more. Since going to the skyscrapers on Bunker Hill or Figueroa St involves both the light-rail Gold Line and a short ride on the subway, the Day Pass is the way to go. 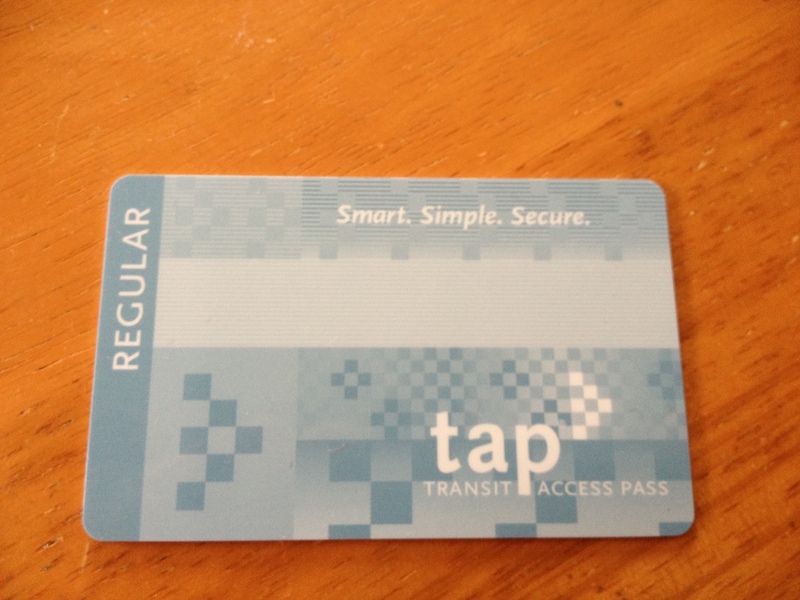 So I started thinking that maybe getting a TAP card might be useful. That way, I wouldn’t have to stop at the ticket machine every time before going downtown. I thought it just might be simpler. Using TAP couldn’t be easier. When boarding a Metro bus or other participating transit systems, simply tap your card on the farebox located at the bus entrance. Listen for the beep and look for the message on the farebox’s display screen confirming your card’s validity. When tapping for Metro Rail, place your card flat on the reader, wait for the green light, listen for the beep, and look for the “Go” message on the validator. So if I put a day pass on my card, and I just ride one train, I’m still using the day pass? The FAQ says I can put both that and a cash value on the card, but there’s no indication of how to tell it which one to use when I’m going through the turnstile. As the day pass is a more powerful fare, the day fare is always read before the cash fare. So at this point, I figured that the card with Day Passes would still be more convenient for days when I need that. And I can just pay cash for single rides on the rare occasions when I need that. I got the card with a day pass on it. But I’m going to be going downtown 2-3 times a week for the next couple of months. So I wanted to add more passes to it. The machine would only let me add one pass per transaction. Why is that? If I have to stop at the machine and do a full transaction for every pass I add to the card, how is that easier or more convenient than buying a paper ticket each time? How can I add multiple passes to the card at one time? You can add more than one day pass at a vendor site, such as a check cashing location or a Metro Service Center. The machines allow for buying multiple paper tickets. Why not this? Seems simple enough. If I have to go somewhere else to do this, or have to do one transaction per pass on the machine, I might just as well just keep using the paper tickets. The paper passes will be phased out by the end of August. You may load up to 8 passes at the machines as well as the vendor. But how do I do that? I couldn’t find anything to do more than one at a time. You just keep doing an new order for each day pass at the vending machine. 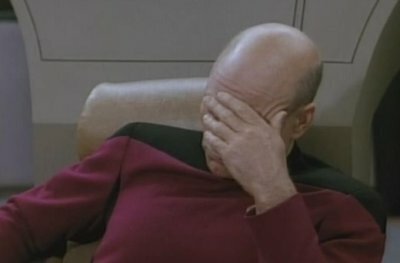 So I have to do a single transaction for each pass each time. And this is easier than just buying a ticket each time how? Also, according to this, in two weeks, I’m going to be forced to use the card. And so I’ll have to carry two of them. One for Day Passes, and one with just cash value for single rides. And because the cards are identical, I’ll have to figure out how to keep track of which one is which. pass on to them that that’s just plain stupid. We will gladly forward your input and suggestions to the development team. Any feedback is good feedback.